Transform your pictures into a fairytale. 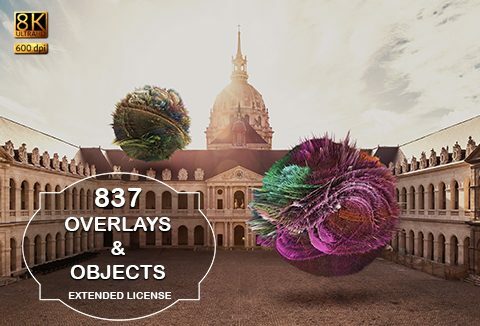 Create magical fairy dust photo effects with 837+ professional overlays and objects. This bundle consists of 45 unique categories or themes to add spark to your designs. 20 Explosive Colors and much more.. This bundle includes +8k Ultra HD, 600 dpi files. Each file is in JPEG or PNG format with transparent background. This deal is delivered as an instant download once you place the order. All these overlays can be used for both personal and commercial purposes, for yourself or on behalf of a client, or as part of your new design for sale. These overlays and objects are compatible with any software that allows you to work with layers. This deal cannot be resold, shared, transferred, or otherwise redistributed on its own. You cannot share these resources with others. Add all those amazing sparkles, fireflies, fairy dust, & stars to reinvent your photos.